Lean Manufacturing and Six Sigma principles are more important for the medical device industry than ever before, says Dave Schleder, director of OEM/international operations at B. Braun (Allentown, PA). That's because these decades-old production philosophies can go a long way in helping medical device companies respond to the increased cost pressures and quality requirements they are facing, Schleder says. 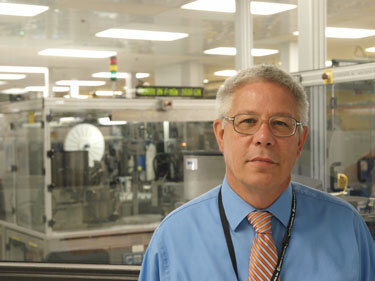 Dave Schleder is director of OEM and International Operations at B. Braun's OEM Division. He serves as a liaison between the OEM business and B. Braun's Operational Excellence Department and manufacturing operations. The challenge for many firms is continue reaping benefits from Lean Manufacturing and Six Sigma over the long run. When implemented well, Lean can be immensely powerful. Consider how Toyota used Lean to help propel the automaker from a niche player to the biggest automobile manufacturer in the world. Or check out how Motorola, after using Six Sigma principles to curb production defects, reportedly realized $16 billion in savings in 12 years. In the following interview, B. Braun's director of OEM/international operations discusses the merits of both Lean and Six Sigma for medical device firms and provides advice on how they can get the most out of them. MPMN: What are the basic premises of Lean and Six Sigma in a medical device or component assembly operation? How relevant are these approaches today? Dave Schleder: Lean focuses on eliminating waste. Six Sigma targets variation reduction. Together, they're tools for improving any process. Medical device assembly and manufacturing are ideal places to implement Lean and Six Sigma approaches because of the number of steps and the criticality of the output. The concepts have been in the medical device industry for some time, but the industry expectations to reduce costs and improve quality make them more pertinent than ever. Nonetheless, many companies have found it elusive to implement Lean/Six Sigma programs that are effective and lasting. MPMN: What are the biggest barriers to overcome toward implementing Lean/Six Sigma in an assembly environment? Schleder: Attitude and culture tend to be the biggest obstacles. People are generally resistant to change. The key is to move fast and get as many people involved as quickly as possible. Once they contribute to and see the results and improvements, they are more inclined to help in the future. For example, people performing manual assembly could determine that organizing manufacturing lots differently could speed changeover times. But if the warehouse personnel are not engaged in Lean, they may resist the change. Everyone needs to understand they have a role. Certainly, you need support from upper management. However, if you want to get it done right, train the people who touch the product and processes every day. Empower and engage them. They will be your most powerful force. MPMN: What real-life examples can you provide of how Lean/Six Sigma improved an assembly process? Schleder: I had a group of supervisors and leads in a business unit conduct a "3P," a Production Preparation Process. They used a large vacant area and taped on the floor a large scale representation of their production area. They laminated cutout images of machines and other assembly equipment to create a "current state" map. They then began working on a future state by moving machines and equipment to a plan where they could improve product flow and efficiencies. This type of exercise strives to create continuous flow in the manufacturing assembly process and eliminates unnecessary inventory and material requirements planning (MRP) transactions, helping to reduce assembly labor hours, lead times, and control costs. It also drives more efficient use of manufacturing space. By reducing the size of the manufacturing or assembly process footprint, we can find ways to increase capacity without expending capital or increasing overhead costs. MPMN: To what extent are customers involved in a company's Lean/Six Sigma approaches? Schleder: It depends. We have learned some things from our customers regarding Lean and we have helped others with our expertise. We are now getting requests from customers to share our knowledge. Although they have tried to implement Lean/Six Sigma in their organizations, they haven't been successful in applying them to specific processes and are looking to learn from our experiences. Sometimes we'll even do joint Kaizen events to share our process in addition to our expertise. As OEMs and their suppliers continue to implement initiatives within their respective organizations, there is always opportunity to learn from one another and drive continuous improvement that benefits both companies in the partnership. MPMN: Does the nature of assembly provide more opportunities to find process efficiencies than other areas of the medical device manufacturing process? Schleder: The production floor is a "field of dreams." There are so many opportunities for continuous improvement. But the principles apply elsewhere, too. We have established VSM's (value stream mapping) and implemented improvements in areas like document control, product release, change control, product development, order entry and so on. It's not just about how to put pieces together more efficiently. It also involves the steps before and after. All of it allows us to control our costs and better service our customers. MPMN: Are there more efficiencies to be gained in manual assembly or automated assembly? Schleder: Effective Lean production can utilize both automated and manual assembly processes. Automation that enhances flow is Lean. Automating a manual process doesn't necessarily make it Lean. There can be expensive, high-tech, automation equipment that generates excessive waste in the form of overproduction, excess inventory, unnecessary movement and over-processing. Whether the process is manual or automated, reducing waste and enhancing flow is the objective.